Maintaining your teeth with regular cleanings is important not only for your oral health, but for the health of your whole body. Poor oral hygiene, infections of the gums and periodontal disease have been linked to diseases such as heart disease, strokes, problems with pregnancy and possible links to dementia, kidney disease, and diabetes, just to name a few. So you can see how important it is to have regular dental check-ups and cleanings with a professional dental hygienist. These regular, twice per year dental hygiene visits are key to prevention of dental problems like cavities, gum disease, and a host of other problems. In addition, this is the time when you will receive an oral cancer screening. Detecting oral cancer early is critical to defending against the progress of this terrible disease that affects nearly 50,000 American each year and includes roughly 10,000 deaths annually. Historically, the death rates for oral cancer are quite high, because they are often not found until a very late stage. Another good reason to maintain a regular schedule of dental cleanings is to save money. Regular visits to the dental hygienist will decrease the amount of problems that develop due to delayed cleanings. The problem begins with that thin film that forms on your teeth after you eat. Food debris mixed with minerals and saliva and an amount of bacteria that grows within all that food debris forms a sticky film called plaque. The plaque bacteria digest sugars from the foods we eat, and they in turn produce acids that are deposited on the surface of the teeth. Over time, if not cleaned daily (twice a day for two minute tooth brushings) the plaque film allows the bacteria to continue to produce and deposit acids on the teeth. Those acids destroy the surface of the teeth, and the weakened, damaged surface begins to decompose. This is the beginnings of a cavity. 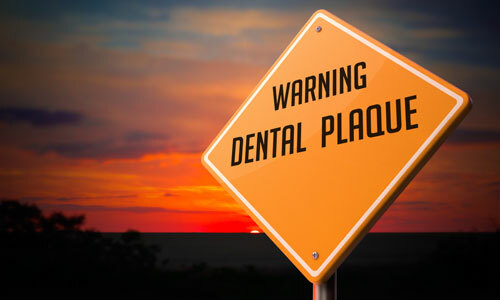 In the early stages, the plaque that can build up on teeth cause a low grade inflammation of the gums. When not cleaned by good home care, the plaque turns to a harder material often referred to as tarter. Once tarter has formed it requires a professional dental cleaning to be removed. When the tarter remains on the teeth it increases the irritation to the gums. The tarter acts like a protective layer for the bacteria, which live and continue to grow, producing more acids and more tarter. The gums can become puffy, swollen and start to bleed just a little when you brush them. This is now considered to be Gingivitis. Inadequate dental care can lead to gum disease, also known as periodontal disease. Gum disease starts off rather mildly, but can quickly progress to a point where the bone surrounding your teeth begins to shrink away. Early on, bacterial plaque builds up around the teeth, some of it hardening into a tough, scaly material called calculus or tarter as we said before. When the tarter causes the gums to be irritated for longer periods of time the irritation leads to the loss of bone. As the bone is lost, the teeth become less stable, and it eventually leads to tooth loss. If you can imagine a mailbox post in the ground that is only buried a few inches deep it would be quite easy to knock it over. However, If that post is buried 3 feet deep, the post won’t budge. This same is true of your teeth. The removal of plaque and tarter are next on the procedure list. Soft, sticky plaque and hardened tarter are removed from the teeth using a set of special instruments called scalers, as well as a device called a cavitron, which uses water and energy to remove the tougher tarted build-up. There may be some unpleasant sounds, like scraping of the teeth. This is not to be worried about, and if it helps you to relax we recommend you bring your smartphone and a set of headphones so you can relax to your favorite music while the hygienist works her magic. Tarter can be quite tough to remove, and is virtually impossible to remove on your own. Brushing and flossing will not remove built up tarter. Once tarter (calculus) is on the teeth it will take a professional cleaning to remove the substance. If you dread this part of the cleaning visit, then better home care is the answer! The better you brush and floss to care for yor teeth, the less work for the hygienist during this part of the dental hygiene visit.